Does The Compact Alto Professional Trouper Bluetooth PA System Have The Power And Clarity Desired? 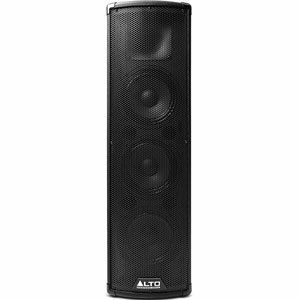 The Alto Professional Trouper Bluetooth PA System may not look like the most powerful, interesting PA sound system on the surface, but there are some interesting details to the specification to draw people in. There is a 3-channel mixer, with a 2-band EQ and volume control, a 1’’ high frequency driver and Bluetooth connectivity. The makers promise that this is a “compact high-performance PA system” that is ideal for “small venue performances and home studio listening”. Is this the case, or are there flaws in the design or performance? PaSystemReviews.com is a participant in the Amazon Services LLC Associates Program, an affiliate advertising program designed to provide a means for sites to earn advertising fees by advertising and linking to amazon.com. Copyright © 2019 · PA System Reviews, All Rights Reserved.